As the cervix gets near full dilation, sometimes you have a bit of cervix on one side that is still present, while not on the other side. This is called a cervical lip or lip of cervix. This is most commonly an anterior lip, which is thought to happen when the cervix gets caught between the pelvis and baby's head. (Anterior means towards the front of the mother, so this area of the cervix would be close to your pubic bone than your tail bone.) This may be caused for a variety of reasons, including when the pressure from the baby is uneven on the cervix. The goods news about a cervical lip is that you have options to try. Your labor and delivery nurse, doula, doctor or midwife can help you decide which of these will be best for you. There are a couple of things that can help if you have a lip of cervix left. Sometimes a little bit of time is all that is needed for the cervix to finish dilating. This can be frustrating, particularly if you are feeling the urge to push. You can do things to help relieve the feeling of contractions like others suggestions on this list or actively work to avoid pushing by lifting your chin way off your chest and blowing like you're blowing birthday candles out. Hands and knees, leaning forward, side lying, etc. are all positions in labor that can help take the pressure off the cervix or to rotate a baby who is in a less favorable position. You should talk to your labor and delivery nurse or whoever did your vaginal exam to ask which way the cervix is - sometimes certain positions will be better for certain types of lip. Between your medical team and your doula, you can get some great suggestions. Using a tub of water can help promote relaxation as well as weightlessness. This can also promote relaxation to help relieve pain while you wait for the cervix to finish dilating. Some hospitals do not have tubs or pools for use in labor. If this is the case, a shower can be helpful too, just not as relaxing as the tub or pool. This is done by the practitioner during a vaginal exam. 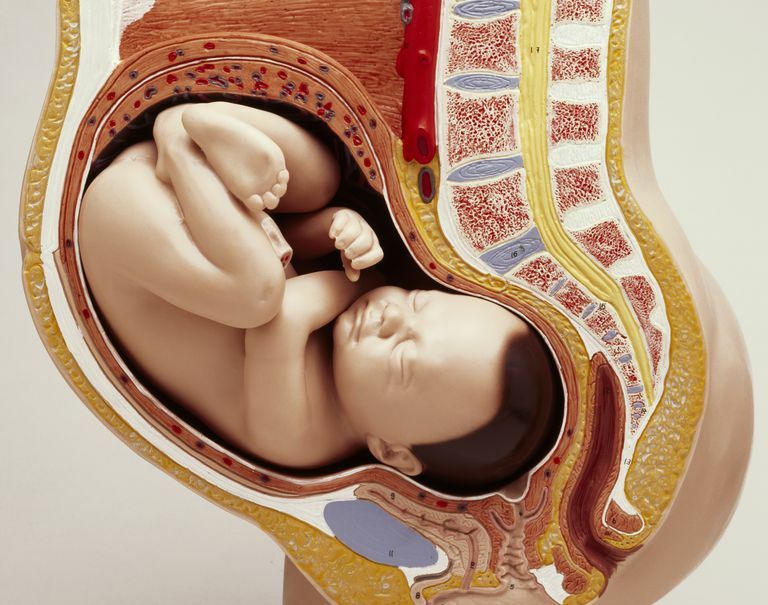 The lip of cervix is forcibly moved over the baby's head to allow the baby to come down further. This may take more than one contraction. It can also be done with coached pushing efforts as directed by your doctor or midwife. This is painful but can be fairly quick and effective. Talk to your practitioner about this technique and if it's an option for you. Once the lip of cervix is gone, labor should progress in a normal way, followed shortly by the pushing phase of labor. In fact, you may have had a lip of cervix and never even known it. Sometimes it happens and because you didn't have a vaginal exam, it's never discussed and labor just proceeds. Good communications with your birth team can be helpful.